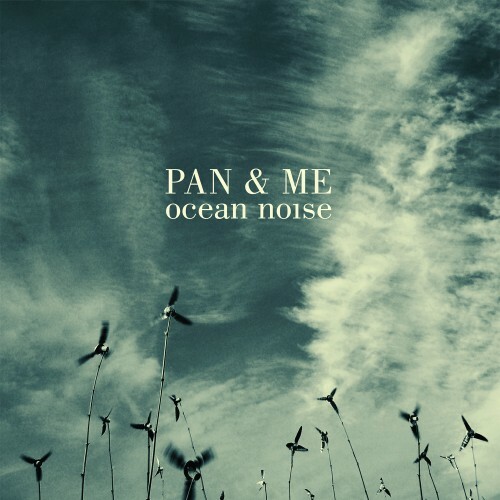 Christophe Mevel is one of the formers of Dale Cooper Quartet & The Dictaphones; with Pan & Me don’t expect dark Jazz tones, ‘Ocean Noise’ is an electronic voyage combined with guitar drones, neo classical and field recordings. The experimentations he did are divided into twelve tracks on this new album. Excellent thing is the songs are connected together as a school of fish in the ocean. Where his main band is taking the darkening night spectrum; Pan & Me is using ocean clear sounds to settle down a sound track for a diving adventure in blue oceans with the most beautiful fish and other sea life around. If Sigur Ros would’ve gone on a full ambient trip it might sound as this album. Mevel is careful in picking sounds, in a subtle way he builds up his music from one silent drone towards textures upon textures. With repeating loops included “Nickel Empire” is one highlight after he already has set the right mood in the previous five tracks. Directly connected is “Fahrenheit” that starts off with a dramatic neo classical tone. Piano tones are added after a break so the listener can dream a little bit further. “Parchemin” is a strange mood changer. The distracting guitar drones are a bit dissonant and starting point for the 15 minutes opus “The Sea is So Quiet”. Slowly the ambient and drones are diving deep to the beautiful sea bottom where live seems to stands still. Repeating movements until another state of mind is reached. The song is supposed to be the best conclusion of the album. What is rest are three other experimental tunes that are interesting too but never reach the climax as the record did on other parts. Less is more and one hour of mostly positive sounds keeps you hungry instead of almost 72 minutes of experimental ambient.